A Wine and Cheese party is so much fun! Pairing wine and cheese together is one of the great culinary pleasures. And making the pairing a party with loved ones and friends adds up to one special evening. The holidays are here and we are ready for a round of entertaining with our friends. That does not mean that the gatherings have to be full blown large parties. 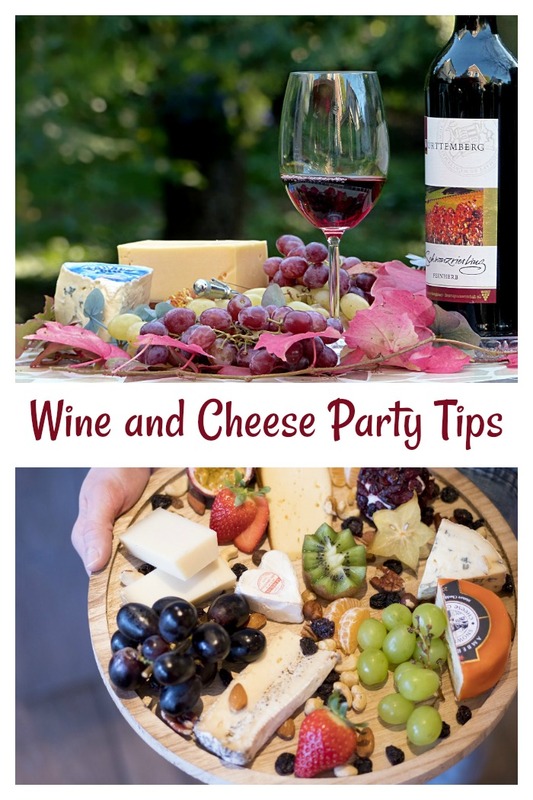 I have put together some of my tips for making sure that your next wine and cheese party will be one that your guests will remember for a long time. 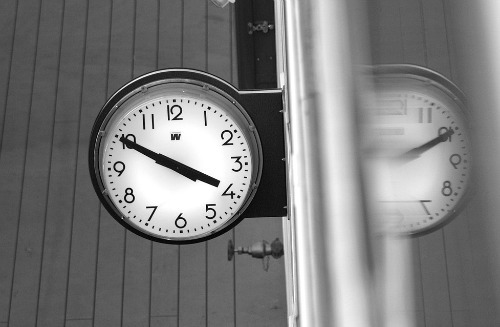 It does not take a lot of effort, but does involve some planning on your part for a good success. In order to have a stress free party, do as much of the prep work as you can ahead of time. The focus of this party will be on the wine choices and cheeses to go with them. The choice is up to you. If you plan to focus on the cheese, choose those first and then decide what to add for the wines. If the wines will be the star, make those choices first and then add the cheese. Since cheese is fairly heavy, make any other food items fairly light. Fruits, veggies and some light crackers or bread are really all that is needed. Take the cheese out of the fridge at least 30 minutes before the quests arrive. They are best served at room temperature. Red wines should be opened so they can breathe, and white wines should be chilled ahead of time. Bring out the other food about 10 minutes before arrival time and start your favorite playlist to set a nice mood when the guests arrive. You will need wine and cheese of course. But cheese alone won’t be enough to offset the alcohol that goes with wine tasting, so some other foods will be needed too. Keep the list simple. Grapes, strawberries and other fruits go well with this combination. 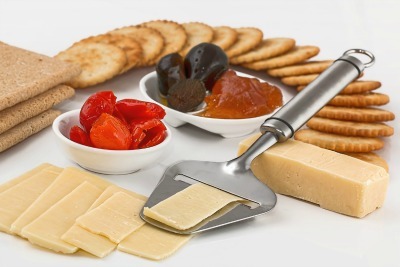 You will also want a basket of crackers or some crusty bread to add to the cheese choices. Be sure to choose good quality crackers, or bread, since you will be serving the cheese with them. Tomatoes, strips of fresh basil and mozzarella cheese bits makes a nice plate to add to the mix as well. You can drizzle it with a bit of olive oil and season with Kosher salt and cracked black pepper. 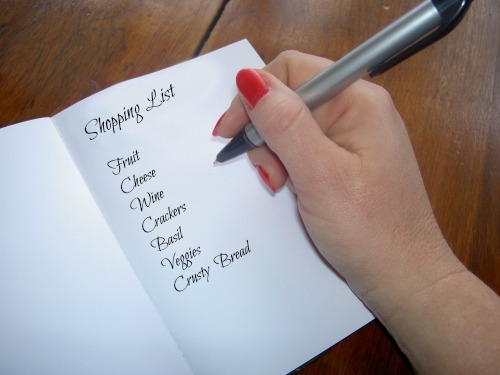 Figs and olives are also a good item to add to the shopping list. If you want some protein too, a few sliced meats such as salami or pepperoni is a nice choice. My recipes for asparagus wrapped in prosciutto would be a great choice. Another light appetizer choice are my gluten free vegetable spring rolls. Very light and so tasty. Another option is to have a prepared antipasto platter on hand. This give a perfect type of food that the guest will enjoy with wines. A good number of people for a wine and cheese party is the number that can fit comfortably around your table. This is not the type of party for a huge gathering. 6-12 people is plenty. It also helps if the guests have at least a similar experience with wines. Wine connoisseurs and “wine in a box” people may not mix that well. 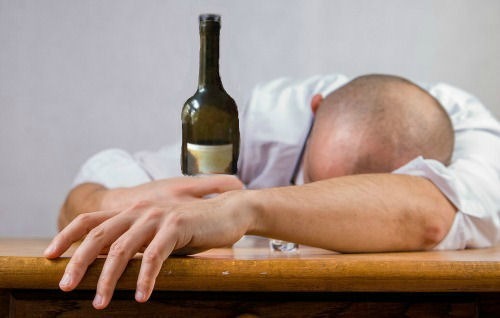 You don’t want inexperienced wine drinkers to feel awkward and no one really needs a “wine know it all” educating them at a party! Use a nice invite to let people know it will be a special evening. There are two ways to do this part. You could have a blind wine tasting where each person brings a bottle and then you try to pair it with the cheeses you have on hand. Or you could do some research, and choose and purchase all of the wines and cheeses yourself. The main thing to remember is to start with the white wines, and progress from light to full-bodied when you get to the red wines. Ports and dessert wines would be last pairings. 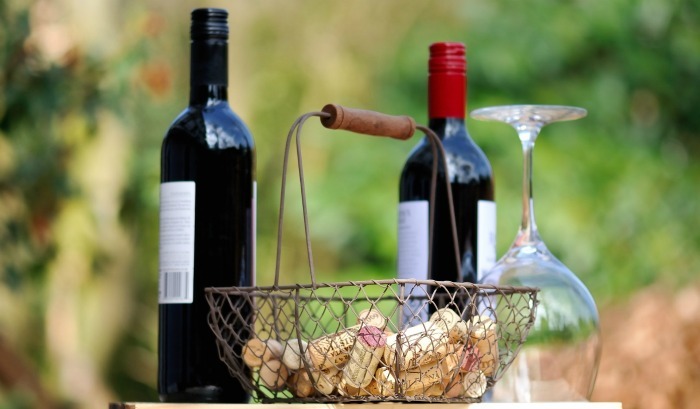 The general rule of thumb is to purchase 1-2 ounces of wine per person per glass of each wine for each tasting. So, multiply 1-2 oz by your number of guests and use that figure for the amount of ounces you need for each of the wines that you intend to buy. 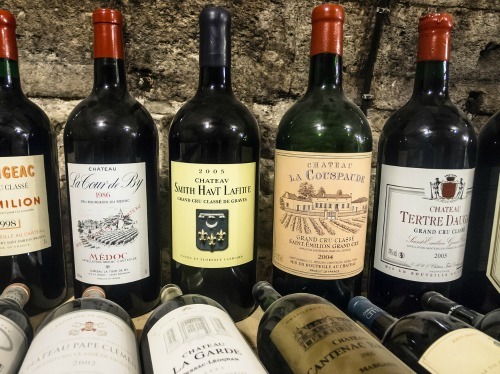 A standard bottle of wine contains about 25 ounces. When pairing the wine and cheese, try to think of complimentary flavors. Lush wines work well with creamy flavors. Blue cheeses work well with slightly sweeter wines. 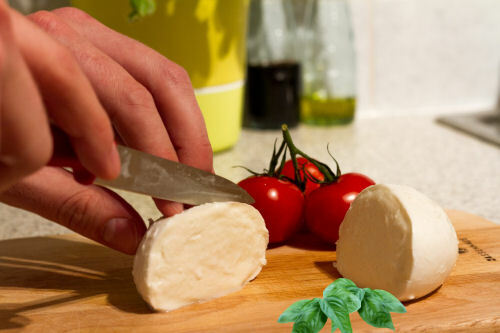 Fresh cheeses are great paired with slightly fruity wines, and so on. You can test ahead of time to see how you like a taste of the cheese and a sip of the wine, or play it by ear on the night and find out when your friends do! The internet is a wonderful source of information about pairings. Just search wine and cheese pairings to get some ideas. It is best to start with the lightest pairings and move through to the heavier ones. But there are dozens of other choices. A bit of research will allow you to find pairings that will suit you and your guests. These tools are really a minimum. You will need wine glasses (champagne flutes too, if that is one of the choices). 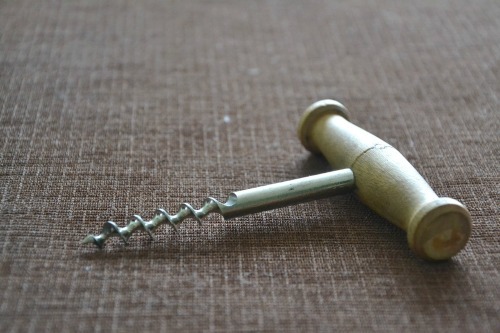 A good corkscrew is a must. Special platters for the cheese, baskets for the bread or crackers set the mood, and special cheese knives are nice but not necessary. A wine bucket and ice for the white wines helps to keep them at the right temperature once you open them. The shape and size of red and wine glasses are quite different. And of course, champagne flutes have a very different shape. On this occasion, one size does not fit all. 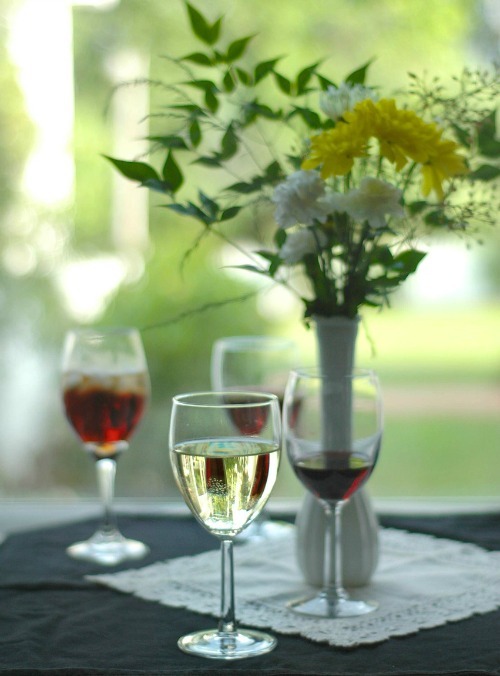 If you are serving red, white and sparkling wines, you will want three different glasses to serve them. The glasses should also have stems (so the guests don’t warm the wine with their hands) and be clear, so the color of the wine is visible. By nature, a wine and cheese party is not overly formal. Stay casual. Wooden cutting boards and small basket for crackers sets an informal mood. Even brown paper or parchment paper to hold the cheese will give the table a rustic, informal look. 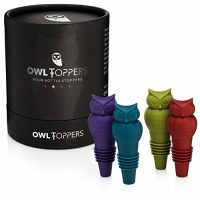 I was recently given a set of these owl shaped silicone bottle stoppers and decided to use them for my party. They are so cute and the earthy colors would suit the casual nature of this type of party. They will also keep the remaining wine, if you have it after tasting that variety, fresh for another time. They will also be a great conversation point. Who doesn’t like owls? 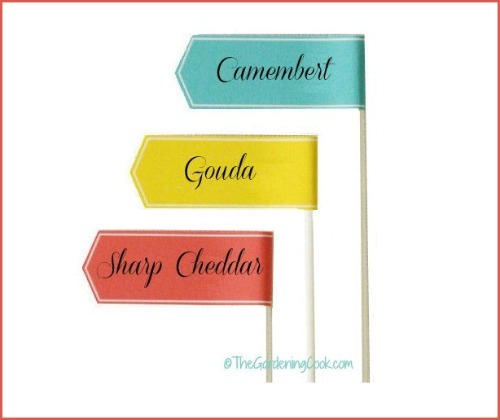 Serving several varieties of cheese in one party means that labels might be needed so that guests know what the cheese is. I don’t care for stinky type cheeses, so I would want to know if one were on the platter before I tasted it! The labels can be very simple. Just some toothpicks, colored card stock, a glue stick and a sharpie pen and you have them done! When I am serving several rounds of food over the course of the night, I like to let guests know what to expect. 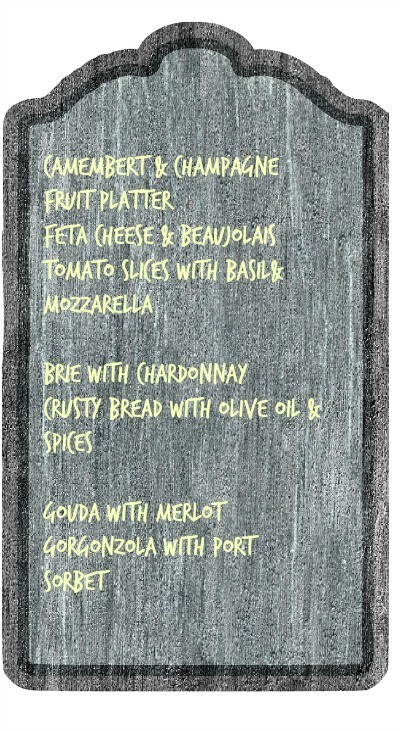 A great idea for keeping with the informal nature is a chalk board menu with the pairings or other food choices. The guests will be able to pace themselves and not outdo the drinking part if they know what to expect for the food. A wine and cheese pairing can be a simple occasion or you can go all out. Here are some other ideas to consider. 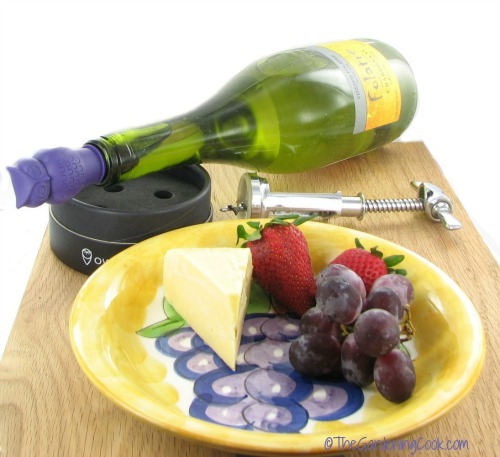 One thing that my readers often ask is what to bring to a wine and cheese party? If you wish you guests to bring something, either food or some wine, be sure to point that out in the invite. If you would rather supply the food and wine your self to make sure the pairings are good, make sure to also tell guests this. 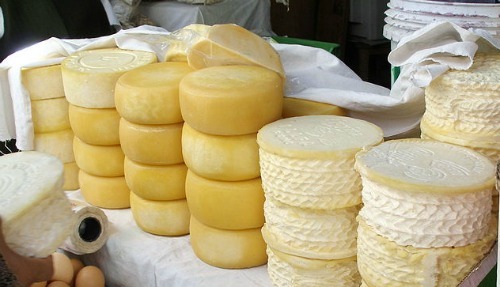 Buying several bottles of wine and lots of different cheese types can be expensive. 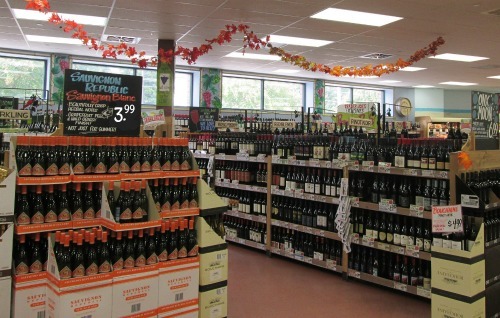 To keep the costs down, be on the look out for local wine bargains and stock up before hand. My local Trader Joe has a great variety of wines for only $3.99 a bottle and they still taste great (check them out ahead of time though.) Choosing less expensive wines will allow you to spend more money on the cheese. Also be sure to look for generic store brand labels of cheese. Most of these are much more inexpensive that the well known brand names. Get a membership to a local warehouse club such as BJs or Sam’s club. Their savings on wine and cheese are considerable. Guess the wine and cheese. Set up blind tastings of both the wine and the cheese to see which your guests can identify. Talent show. Have your guests stand in front of the group and use their personal talents to describe the wines or cheeses. They can sing, make a drawing or do a charades skit. Have a few cards that you print out with a scene from a part of the world and place the bottle of wine from that region on top of the cards. Make a centerpiece and use a few bottles of wine incorporated in the decoration. Use wine corks with some plastic forks glued on top to act as name card holders. Add a garland with greens and some grapes to decorate the mantle in your dining room. A simple wire basket with corks (and new corks) will add a touch of decor to the table. Since food is not going to be a huge part of the occasion, you can opt for an early start like 4 p.m, when they are not ready for dinner, or a later one such as 9 p.m. when they have already eaten. Too much food can alter the perception of the wine and a big part of this party is a wine tasting, so you will want clean palates. Part of the fun of a wine tasting party is to look a bit like an expert. Hold the glass and swirl it around a few seconds. Smell the wine to get a better sense of the flavor and then take a small sip and swirl it around in your mouth for several seconds. 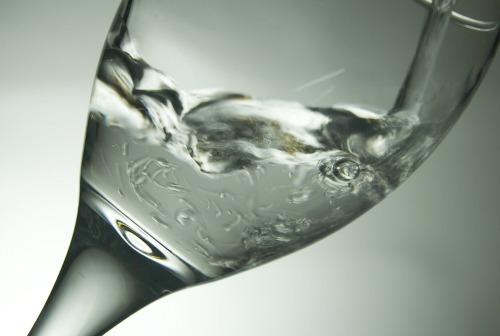 It is also a good idea to have water on hand to temper the alcohol and clean the palate. Serving the water in wine glasses helps to keep the mood of the party going. Many of these wines and cheeses may be varieties that the guests may not have had before and they may want to make notes of this. 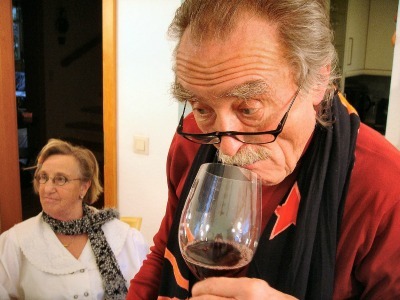 Rating the wines is one of the fun parts of a wine tasting party too. Wines are often rate on appearance, aroma, body, taste and finish, in that order. 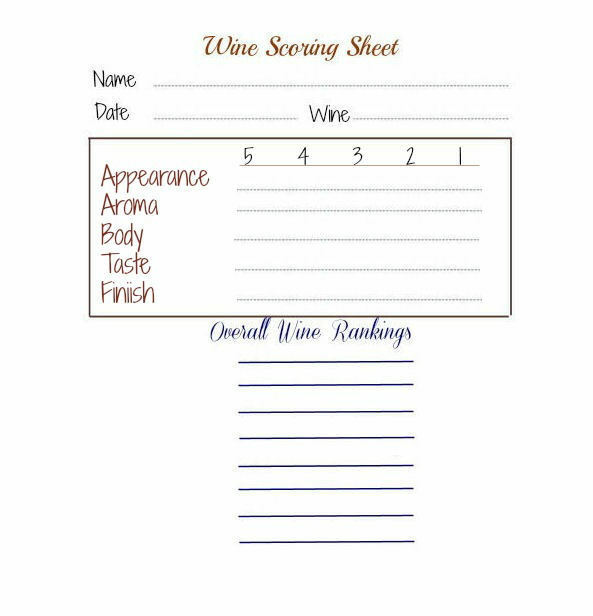 This printable will allow guests to rate their choices and then everyone can compare to see who liked what. 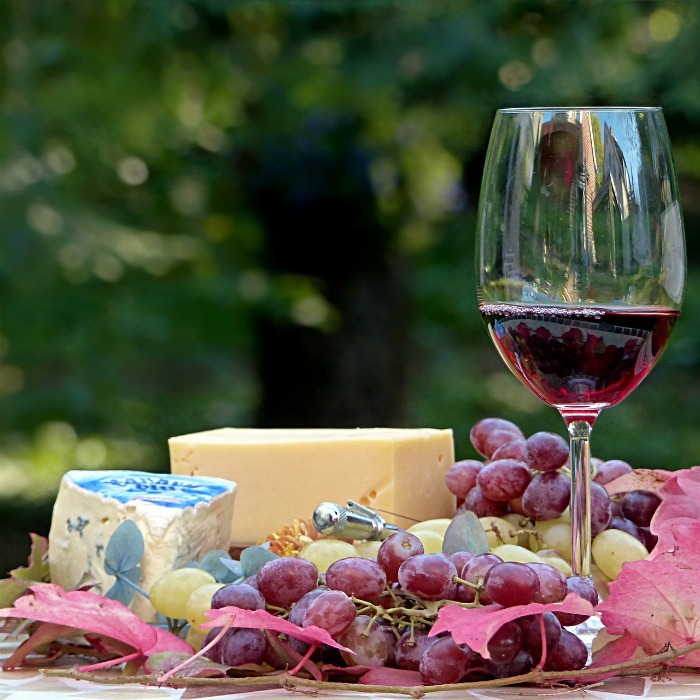 If you plan to serve food other than the cheese with the wine, it is best to serve it between the tasting sessions. This also lets the alcohol have a chance to settle down so that no one overindulges. There are plenty of other times to drink to get high if that is what floats your boat. 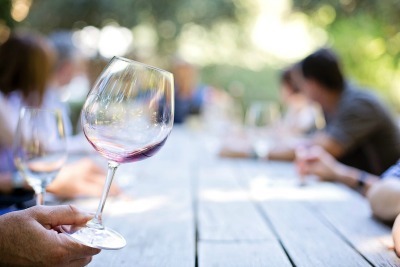 A wine tasting party is not the time to gulp down the last of the wine after every tasting. This is a party about experiences, not a chance to drink like a college newbie. Spit out more than you swallow and you will be fine! These seem like a long list of tips, but really, there is nothing much easier to host than a wine and cheese party. Everything is ready ahead of time. Very little cooking is required and you can spend your time at the party with your friends, instead of being in the kitchen all night. It is a perfect choice for a small dinner party, a girl’s (or guy’s night) and a special night for just you and your significant other. You really can’t go wrong with wine and cheese. 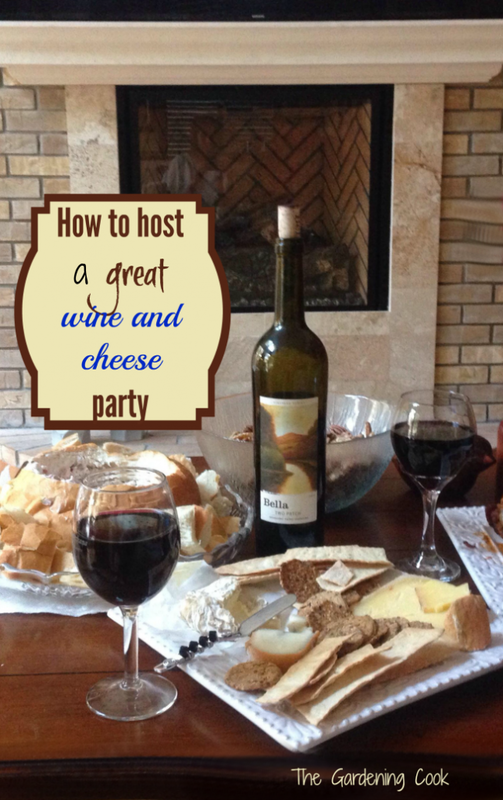 Would you like a reminder of this post for wine and cheese party tips? Just pin this image to one of your entertaining boards on Pinterest so that you can easily find it later. 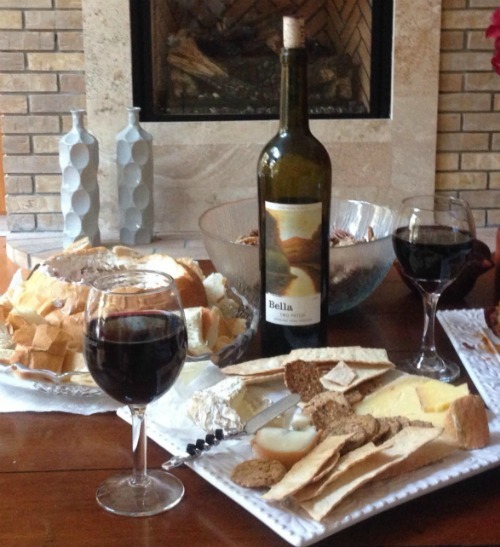 Admin note: This post first for hosting a wine and cheese party first appeared on the blog in April of 2011. I have updated the post to add new tips and photos, a video, as well as a printable card to help you when you shop for the party. 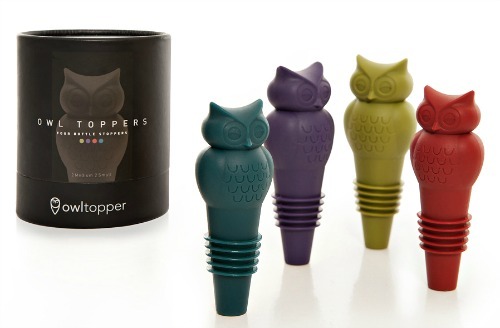 Note: I received a set of these wine stoppers for free in exchange for mentioning them in my blog post. I only recommend items that I feel are useful to my readers. I love these and would recommend them to anyone who wants to add a fun bar tool accessory. Pairing wine and cheese is always a fun way to entertain guests. These essentials will make sure that you have everything on hand for the night. How much wine to buy? 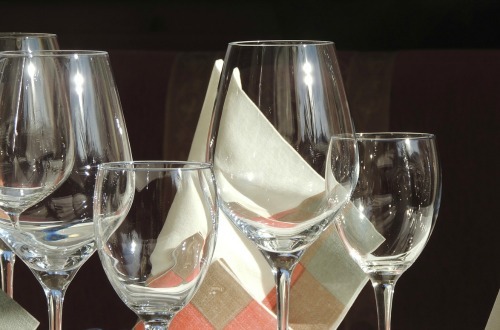 The general rule of thumb is to purchase 1-2 ounces of wine per glass, of each wine for each tasting. Multiply that by your number of guests and you will know how many ounces of wine of each type to buy. 100% Natural Bamboo Cheese Board and Cutlery Set with Slide-out Drawer by Home Euphoria . 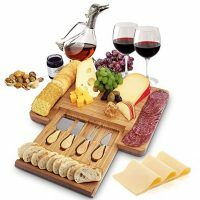 Serving Tray for Wine, Crackers, Charcuterie. Perfect for Christmas, Wedding & Housewarming Gifts.